Bob, did he take you up on the food and drink? Officer Baker, has come around a few times , no, just would stop by to let our guests know to drive safe. He could see the fire from the parking lot entrance above us. People are not to be parking in the lot after dark. It’s now under the State parks loop trail and it closes at dusk. In the summer of '05, I had finally moved to Bend, Or after leavingh the log house vacant since '90. With much time on my hands, I did a lot of reading on the net. That is when I deduced the coming crash. 12 yars later and, I’m still reading 40 hrs a week, not just on the economy. It has taken many years to finally figure out the cause of the crash. Everybody tralks about cycles and interest rates and other such nonsense. As all of you know, a bank creates the principle of a loan but, NOT the interest. The interest is taken from the always growing pile of debt, future loans. Consumption and production MUST grow to provide the increased economic activity, that provides the additioinal money required to service the debt. The debt pile MUST grow to be serviced. The main body of consumers in the world is the , 16----62 year olds. Their numbers are shrinking. The debt bubble is growing at an exponential rate.There is no possibility of a growing debt pile at the same time as shrinking consumption. It can grow temporarily if the central bank printes enough. The money must flow from thin air if the debt is to be serviced during a time of shrinking consumption ans shrinking demand for credit. There is NO possibility of organic growth in the debt pile if the population is shrinking. Japan has proved that for the last 3 decades. As the private sector shrinks it’s demand for credit, the State has jumped in and raised the public debt by $ trillions. This is causing a loss of trust in State debt. S&P is soon to downgrade U.S. GOV credit. Dagong rating agency has already downgraded U.S. debt to one level above junk. ALL States eventually default. Between defaults, State debt is rated risk-free. Martin Armstrong and his super program, Socrates show FED GOV debt to be crashing in the not-so-distant future. China has the fastest shrinking work force due to their one-child policy. The States with the fastest shrinking work force are doing the most money printing, to compensate. Several States pay a baby-bonus. Russia pays your rent if you have 3 kids and, gives you a medal if you have 6 kids. The Central bank of South Korea came out and admitted that “they can’t print babies”. The Chinese policy makers ended the 1-child policy and figuired that the people would respond. NOPE. 75% of respondents said that it was too expensive to have more than one child. There is a youtube vid where the Polish GOV is telling the people explicitly to “breed like rabbits”. Tha Danish GOV has a youtube vid about the same. The Japanese GOV has a big huge State run dating site. So, amazing as it may seem, you must have people to have an economy. The full impact of birth-control combined with our unfolding poverty has ensured that this crash will not be fixed by simple tweaks. Confidence in the future is lost. Here are some vids that discuss various problems. Keep in mind that there is no QUICK fix for falling population. We still have plenty of mud around but the grass is green and the flowers are blooming . No green grass here yet Wayne. Will likely be mid April before it’s very green. My brother tells me he was ice fishing north of here, and the lake ice is 4ft thick. Minus 25C tonight. 4ft is the usual length of an ice auger, any more and you need an extension, or a long crowbar. With little snow and continuing cold they might hit near 5ft on the big lakes, that would be near a record. 3-4ft of snow here on open fields, even though we had a couple of serious thaws. Flowers will have to wait. I can’t remember having this much snow since the 70s. Wow Wayne, that gives me some hope. We just got about 10" of snow yesterday and a few more today. As I was plowing our driveway I thought how nice it would be to have a gasifier on the tractor. There’s a tractor under some of the white stuff. We have a commercial on TV up here that has a photo of a dog and says, “If it’s cold outside, bring them in”. Well, that may be for some animals, not this dog. She absolutely loves the snow. She wasn’t staged. She actually ran into the picture thinking I wanted to play with her. Fill us in on your Texas trip. Hope you had a good time and a safe trip. Whenever I’m sweating, and everyone’s yelling, "It’s hot over here!" Very quiet here now. 21F cold and three days snowing. 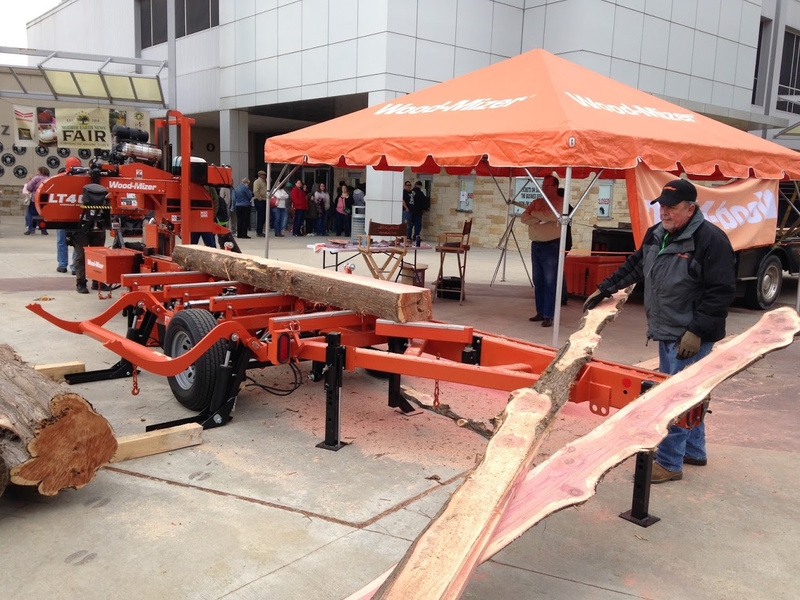 What both BobMac and DavidL say about woodburning in Washington State is true. The Fire hazard laws are made regionally, more or less sensibly. The air quality laws are advocated and made in the dense populated counties. State legislature adopted and expected to be used/enforced state wide, sensible or not. IF you live in Urban dense counties, you are in no-no lands. ANY neighbor complaining can have you on-site visited three different ways. True low population Rural county - depends on the locals. What they want to enforce. Even once Rural counties have become problematic for woods burning in any form as more move out retiring from Urban areas. With their urban attitudes and expectations dragged along with them. Still can be done . . .mostly. With permits. Certified, listed, equipments. And never ever showing chimney, or other smokes. Never ever burning plastics and stinking wastes. yes. yes. First require licensing and registration. Then restrict use. Then ban completely. SoCal areas now. Unless you are mega-rich, A-star Hollywood listed. Then you are special allowed/overlooked. Same old, all-march-to-one-tune “into a progressively brighter future” story. The didactic (fascist&communist historical imperative/inevitability) dictates this after all. Why my current wear around hat really does say, “Free The Carbons!” I’d rather it said Burn Wood to Be Free. But then they might think I meant their shities down around their ears, made of Rural’s supplied wood-carbons. Nope. Not a revolutionary, or an anarchist. Just hanging-on; self-reliancing; showing a self-reliance living example. Until either WB’s Collapse; or the aliens land shocking us back into a more sensible real awareness living. Come’on aliens!! We need you. Peaceable, or not peaceable. Matters not. Wow Steve, it scares me when you share the laws and regulations you experience out West. Primarily because that crap drifts over here eventually. If it took place here now, I would still be okay as to the people out here wouldn’t put up with it and wouldn’t turn in their neighbors. 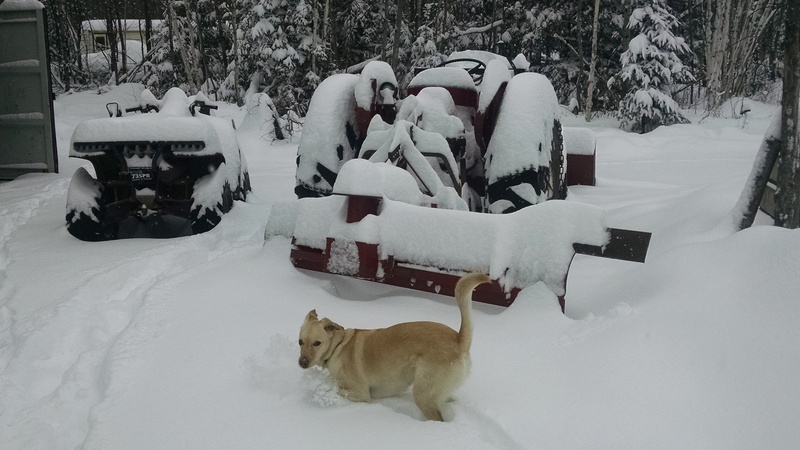 On a lighter note, here’s what a two wheel drive truck looks like this time of year in northern Minnesota. Hey Bill, Washington State is the leader in over regulation, I think they test everything out first in this State to see if it will work. Meaning putting more monies into the hands of people that don’t deserve it. Don’t get me wrong, we have a lot of wonderful people out here in the west and we have lots of room for more people to come here and live in our neighborhood of the Northwest. Like Idaho, Montana, Oregon. Ha ha. Just kinding Oregon doesn’t want anymore people in their state. Even Washington State on the Central East side there is lots of room. Getting crowded on the west side of the Cascade Mountains. 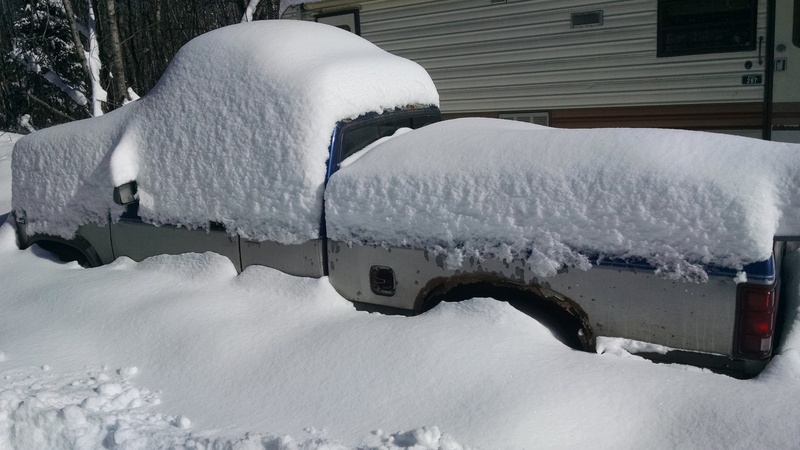 My Truck has looked like that a few times this year, but the snow keeps melting or blowing away. Just cold and windy now. Thanks for posting the pictures Carl. 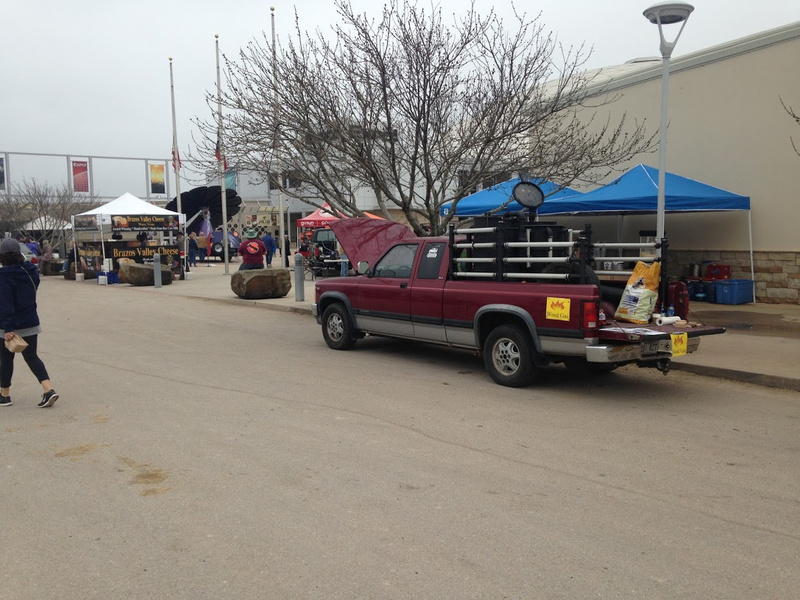 The truck really looks good and you might get another 100K out of it . 70 degrees today and expecting snow tomorrow. 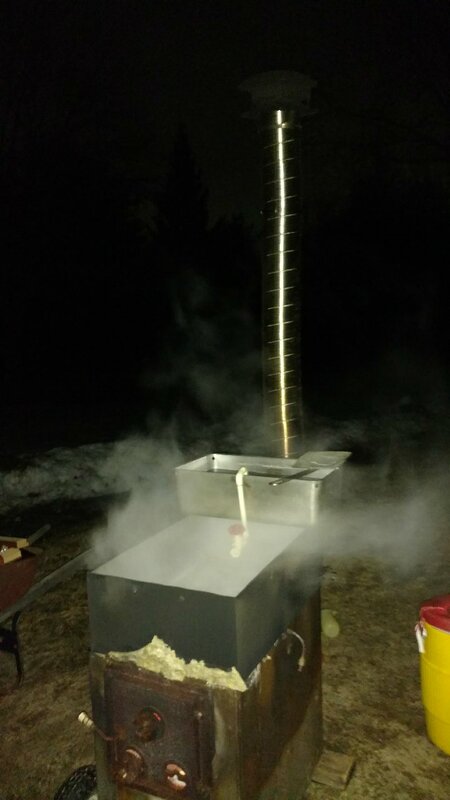 It is maple syrup time here in New Hampshire. There is one thing I haven’t gotten into. All those trees are out there in deep snow when you have to tap them. But man real maple syrup is to die for. Dang Bruce, I can’t wait. We still have another before we can tap some trees.